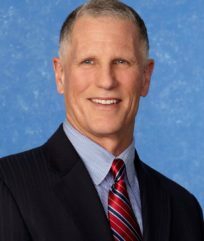 Stephen Sexauer is SDCERA’s Chief Investment Officer and oversees SDCERA’s $12 billion Trust Fund, investment team, and investment consultants. In addition to the day-to-day operation of SDCERA’s Investment Division, he also assists SDCERA’s Board with determining the Fund’s investment policies, strategy and asset allocation. Prior to joining SDCERA in 2015, Sexauer worked at Allianz Global Investors as Chief Investment Officer, US Multi Asset, of Allianz Global Investors Solutions, managing over $7 billion in multi-asset institutional portfolios and retirement income solutions. He is also the co-author of papers on retirement portfolios published in The Financial Analysts Journal, The Institutional Investor Journal of Retirement, and The Retirement Management Journal. Sexauer graduated from the University of Illinois with a BS in Economics and from the University of Chicago with an MBA in Economics and Finance.